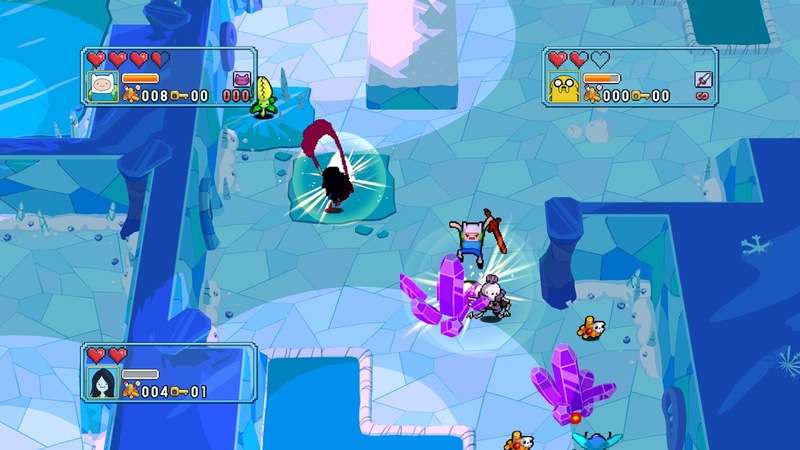 Developer WayForward and D3Publisher delivered a delightful surprise hit in 2012 with the release of Adventure Time: Hey Ice King! Why'd you Steal Our Garbage?! The team is now back with a new release for the highly popular animated television show called Adventure Time: Explore the Dungeon Because I Don't Know!, and it's available on nearly every current generation platform for a discounted price. 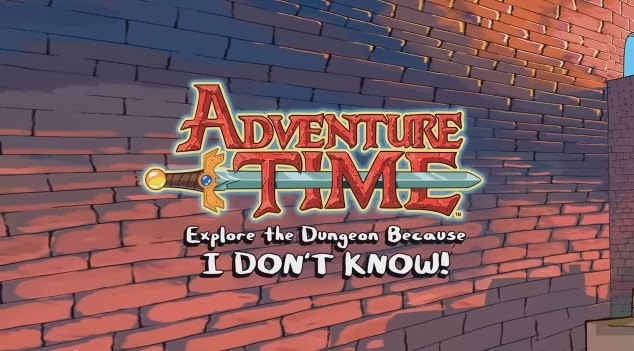 While Adventure Time: Explore the Dungeon Because I Don't Know! isn't quite as refined as its predecessor, it's still a game that is plenty fun and features hours of gameplay and the original voice cast that helps make the new release worth a pickup despite some obvious flaws. 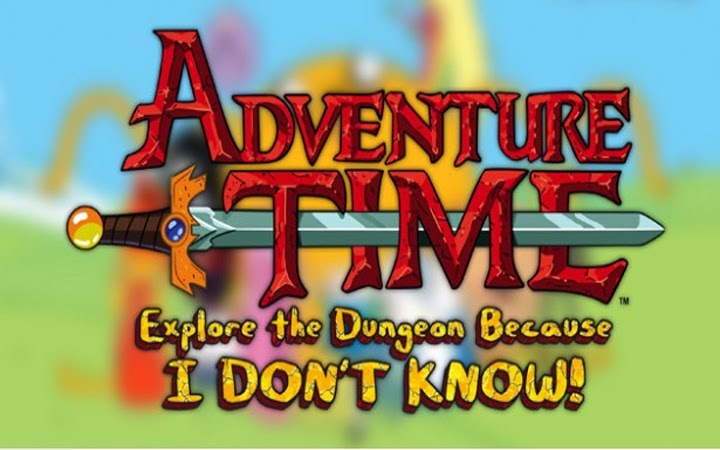 Like the name of the game suggests, Adventure Time: Explore the Dungeon Because I Don't Know! doesn't offer much in terms of a engaging storyline. Players begin the game by talking with Princess Bubblegum before being given the task of heading into the Royal Dungeon to learn how and why prisoners have been escaping from the prison. Few other parts of the storyline are given to players while battling through floor after floor of the dungeon, but there is still plenty of humor to go around that is sure to excite fans fo the series without offering players too many other reasons to keep exploring. Most games are created with a simple idea that is later turned into a full fledged release with a storyline, carefully crafted characters and other key element in video game development, but Adventure Time: Explore the Dungeon Because I Don't Know! feels much more like a game that was forced into creation for the sake of having a new game added to the franchise. That's not to say that the game is horrible or unenjoyable, but it simply does not capture the same magic of the 2012 release that seemingly came out of nowhere. The new game uses plenty of elements made popular in other games to create a new experience for fans of the Adventure Time show, but it doesn't offer gamers much that they haven't already seen hundreds of times. Once the introduction of the game has been completed, players will begin spending countless hours collecting treasure and loot by defeating enemies and finding keys to progress deeper into the game's dungeon. Combat in the game is classic hack and slash style with players using mixtures of light and heavy attacks to deal most damage while also using character specific special attacks when things get too difficult. Other typical movements make up the rest of the control scheme that includes seldom used dodges, rolls, blocks and secondary weapon attacks. There are eight different playable characters included in the default roster in Adventure Time: Explore the Dungeon Because I Don't Know! Finn, Jake, Marceline, Ice King, Cinnamon Bun, Flame Princess, Lumpy Space Princess and Lemongrab each have their own strengths and weaknesses such as the ability to fly or special attacks that may deal damage or heal allies. Additional DLC for Adventure Time: Explore the Dungeon Because I Don't Know! allows players to take control of Peppermint Butler as well. 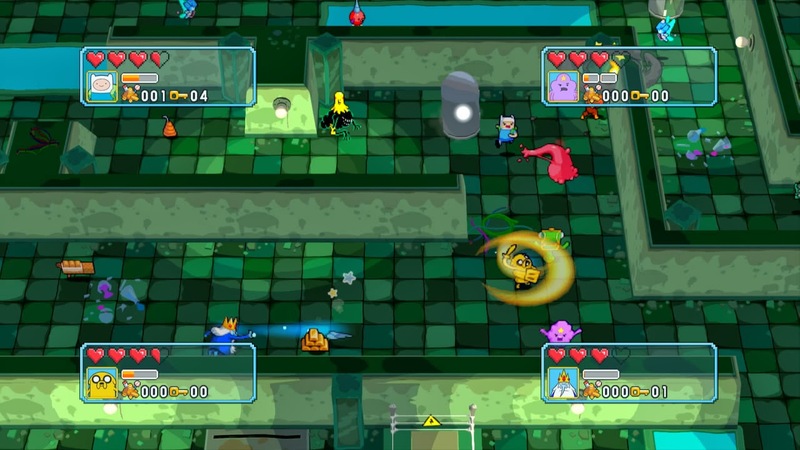 There are plenty of other characters included in the game that include Princess Bubblegum, NEPTR, Princess Muscles and Mr. Cupcake that offer players some important upgrades. Adventure Time: Explore the Dungeon Because I Don't Know! is a game that is never very difficult and can even get monotonously boring to grind through when playing alone at times, but there is a level progression system that allows players to unlock new upgrades and items with treasure found in the game. Character statistic upgrades can be purchased from non-playable characters in the game, and of course, better weapons and items can be purchased in stores or found as random drops. Creating a maxed out character will take a long time though, since players are only allowed to return from the dungeon after every five floors, and Princess Bubblegum takes back any unused treasure as a "candy tax." Players can team up in local cooperative play with drop in or out action locally in Adventure Time: Explore the Dungeon Because I Don't Know! The game is far more entertaining while playing with friends and family members, but it's important to remember to share items found within the dungeon. It's also important to make teams that feature a variety of different special powers and builds to reach the deepest parts of the in-game dungeon. Adventure Time: Explore the Dungeon Because I Don't Know! features a solid presentation that includes carefully designed characters and dungeon layouts. The game's characters seem accurately portioned to the same characters from the show, and animations are spot-on for each one. The dungeon layouts aren't always the best from a game design standpoint, but they look pretty good and clearly take some inspirations from the world of Ooo from the television series. The complete, original voice cast is featured in the game to help make the game more immersive luckily, and players can search the game looking for a few hidden easter eggs that fans of the show will really enjoy. Adventure Time: Explore the Dungeon Because I Don't Know! isn't the best dungeon crawler around despite having heavy inspirations from other game series such as Diablo, but it's a fun adventure that fans of the show are sure to enjoy and some others may like as well. The game has a nice presentation that represents that world of Ooo and its inhabitants well and also offers hours of gameplay that may be repetitive, but it's a lot more fun in four player sessions. Grab a buddy and get ready to grab some loot in Adventure Time: Explore the Dungeon Because I Don't Know! We tested the game on Xbox 360 & Nintendo 3DS and found that the game delivers an intriguing and fun experience on both with the 3DS offering the chance to play while on the go. Adventure Time: Explore the Dungeon Because I Don't Know! is now available from all major retailers and can be purchased for $39.99 on PlayStation 3, Xbox 360, PC and Nintendo Wii U and $29.99 on Nintendo 3DS. Adventure Time: Explore the Dungeon Because I Don't Know! is rated E by the ESRB for Animated Blood, Cartoon Violence & Comic Mischief. For more information on the game, check out the official Adventure Time: Explore the Dungeon Because I Don't Know! website.